The original charging disk that came with your Apple Watch gets the job done, but it’s design leaves a lot to be desired. It’s just a magnetic wireless charging module with a 0.3-meter cable that’s impractical to carry around and not very convenient to use at all. 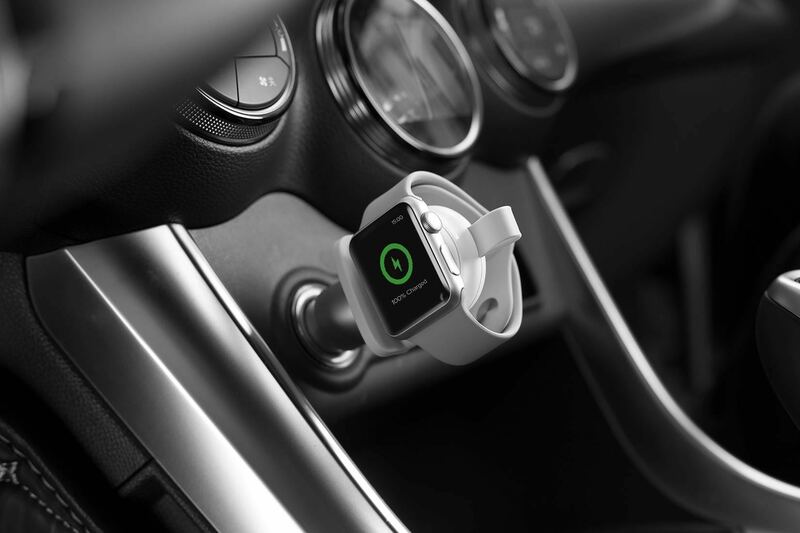 Enter Ugreen’s awesome portable charger for Apple Watch. This thing looks like a pill-shaped USB stick the size of a pack of Tic Tacs. 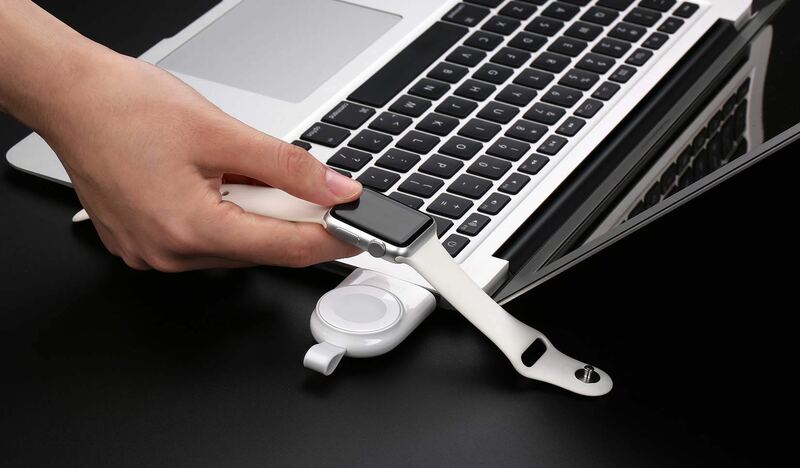 It has a USB-A plug on one side so you can connect it to a MacBook, USB charger or another USB device. Simply place the watch on the magnetic surface to initiate the charging process. Like with Apple’s charger, this accessory uses inductive wireless charging to top up the watch battery. Made of flame retardant material, the gizmo is compatible with all Apple Watch models and sizes. Its lanyard design and lightweight appearance will make you wanna hang it on your bag, carry it on a keychain or simply put it on your pocket wherever you go. The MFi-certified product can be safely used without risking damage thanks to built-in over-current, over-voltage, short-circuit and over-temperature protections. The 5-volt, 1-amp output brings your Apple Watch from dead to full in less than two hours—again, similar to Apple’s charger. 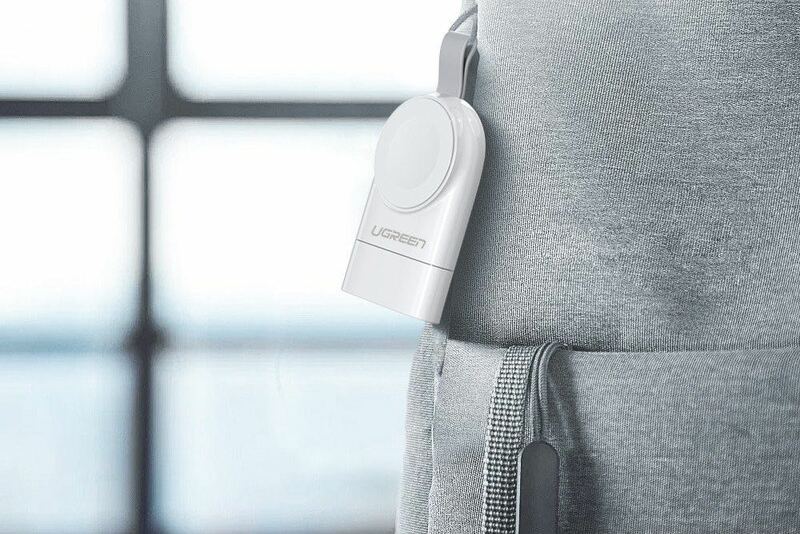 Unlike Apple’s magnetic charging disk, the Ugreen accessory fits the tiniest of pockets and saves you from the hassle of tangling cables. Portability matters with these things. 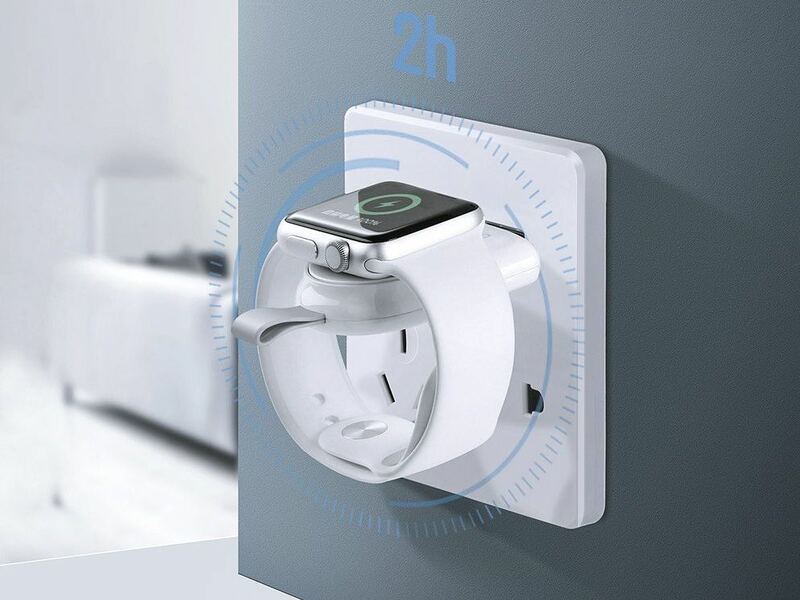 If you need a smart charging solution, consider this minimalist charger designed to ensure that your Apple Watch never runs out of juice when you need it the most. 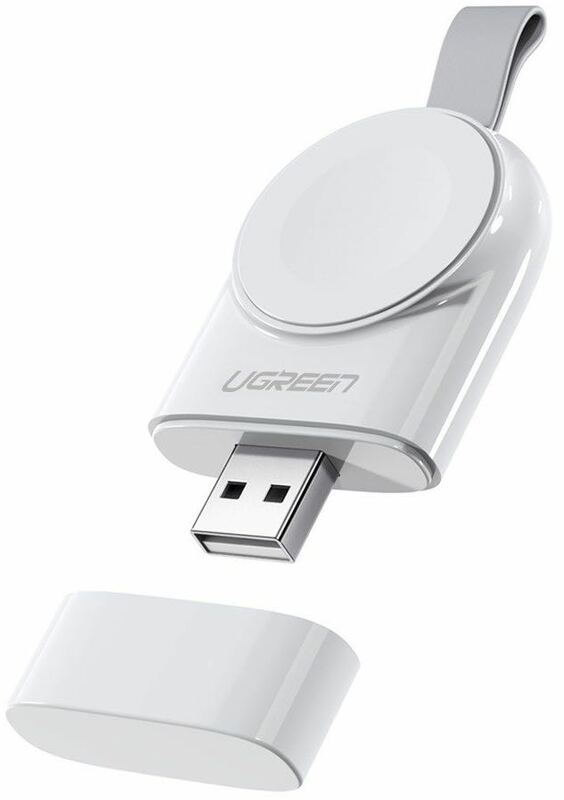 The Ugreen charger can be yours in exchange for $40 via Amazon. 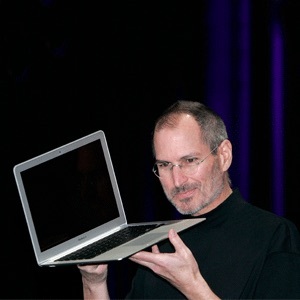 The device can only be used with Apple Watches. If you own a newer Mac with USB-C ports, you’ll be pleased to learn that the company will be releasing a USB-C edition in May. Unfortunately, the gadget is just a portable charger, not a power bank. If you’d need a portable charger with a built-in 2,200mAh battery that can simultaneously charge an iPhone and your Apple Watch, be sure to check out Ugreen’s $50 wireless charger at Amazon. Around since 2009, Ugreen has been making some compelling, nicely designed accessories that are styled to match your Apple gear without costing a fortune. Are you digging this charger?